What Are Cordyceps Militaris Mushroom Capsules? Cordyceps militaris Mushroom Extract uses extend well beyond its reputation as a libido booster. Research shows that Cordyceps militaris Mushroom Capsules can be taken to aid several other areas of human health. 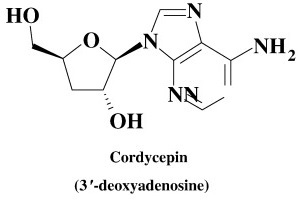 Cordyceps militaris Mushroom Capsules contain compounds including cordycepin, which are metabolized and then affect various physiological processes as listed above. Most active chemical constituents of the mushroom are found in the fruiting body portion. Since most of the active compounds can be found in the fruiting body versus the mycelium, which is more akin to the roots of a tree, it is important to buy Cordyceps militaris Mushroom Extract from a supplier that uses high-quality manufacturing processes. Many brands, including some of the most popular, trusted ones, use practices that ultimately deliver an ineffective product. To save money and speed up the process, manufacturers will often grow the Cordyceps militaris Mushroom mycelium on a bed of grain, and then grind the two together and package it before the fruiting body has a chance to develop. That means consumers are missing out on most of the active compounds. Nootropics Depot and Nammex provide only organic whole fruiting bodies with low starch content, no pesticides, and the correct percentage of beta-glucans. This not only follows FDA guidelines but ensures our customers receive an effective nootropic compound. 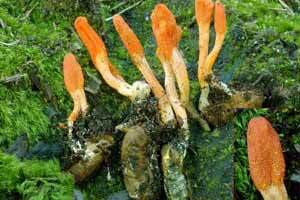 As a dietary supplement, take two 500mg capsules of Cordyceps mushroom once daily. Nootropics Depot offers 60ct. or 180ct. jars of certified organic Cordyceps mushroom capsules. Nootropics Depot's Cordyceps mushroom has been lab-tested and verified for both product purity and identity. I've been taking Cordyceps for several years with excellent results. I'm always surprised to read a review that states they didn't notice any effects at all. Cordyceps provides stamina without side affects and has been of great benefit when combined with Red Reishi for my asthma. Working out and recovery is definitely enhanced with this product. For those not experiencing any results, I would suggest putting yourself under some kind of physical stress (working out, etc.,) for a week with and a week without. If you still don't notice anything, try Ashwaganda which also works well when combined with Cordyceps. Beyond that, try checking your pulse. I felt no noticeable effects. The cordyceps supplement sold here works. Do your research and read about some of the benefits of cordyceps – this product offers those benefits. Cordyceps doesn't have much of a psychoactive effect for me, but I feel relaxed and pleased when I take it on most days, but over time, it is a feeling that you will likely eventually ignore and forget about as you get used to it as it is subtle. It helps significantly with confidence even after taking it for weeks, but it is a somewhat subtle effect (i.e. you're not going to go around feeling like "the man", doing whatever you want, but you may feel more comfortable/confident overall as I do). Cordyceps also seems to give me just enough energy to wake me up in the mornings, like caffeine, that can cause jitters (not that I would recommend Cordyceps for focus as you might recommend caffeine for). I don't notice a huge difference in athletic performance or endurance at the dosage recommended on the bottle (2 capsules taken at the same time in the morning), but there is some sort of effect going on. I also don't notice a difference in libido anymore. I did notice a difference in libido from the first bottle of Cordyceps I ordered, then I stopped taking it for a little while (i.e. weeks) after I finished the bottle, and then ordered another bottle, and now I don't get any libido improvements, but I don't really need them. I suspect that my original libido improvement was a placebo effect. In sum, it's wakes me up in the morning and concurrently makes me a bit calmer and more sociable. It doesn't seem to have significant effects on athletic performance or endurance, cognitive performance, focus, libido. I notice it helping me in the gym. I'm convinced that it helps when I'm doing exercise. I have also noticed an increase in confidence and sociability. In my experience, it is similar to Ashwagandha, but without the excessive calm and indifference I sometimes experience with the latter. Very recommended indeed. Specially if you are dealing with physical fatigue. This is probably the most effective thing I've tried so far in my nootropics research. I didn't expect these non-lab created natural substances to be so effective, but they are. I hate inconvenience/I'm lazy so these capsules are the best choice for me. I get great energy and motivation when I take these. It combines very well with the GS-15-4 ginseng extract to really get productive. My usual problem is getting focused and motivated to start working on things--these really help with it. Seems to give a slight uplift to mood as well. I usually run in the morning and taking the Cordyceps/Ginseng combo amps my energy level up during exercise. I was blown away a how effective these capsules were. I take one when I wake up, and I am stimulated, focused, and in a good mood all day. I never knew mushrooms could be so effective. This is going to be a staple for me for a long time. If you are curious, try this! You will not be disappointed.